Do I understand the law correctly in that Corn snakes of all types are illegal to own in Georgia? If there are pet stores or pet expos selling them in Georgia, then obviously they are legal. And corn snakes are currently the number 1 selling snake for pets, so if you can't find anyone selling in Georgia, then they are probably illegal. The way I understand the law, you can't keep a wild caught snake. If it's produced from a breeder, that's different. But to be sure, see if you can buy them anywhere in Georgia. That should tell you right away. I'm in Tennessee, and all the chain stores here have them. I think Georgia has some weird law about owning any native non venomous species no matter where it comes from (breeder or wild caught). You can own Kingsnakes but not a Kingsnake that is native to Georgia. I guess my real question is are there certain corn snakes that aren’t native to Georgia that can be owned here? I found a male and female Anery pair that I really want! 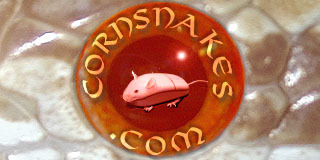 as I stated, call your local pet stores and ask them if they carry corn snakes. They will be able to tell you if they are legal or not. They are illegal to own. A breeder on this forum had to sell all his animals when he was moving to Georgia. Georgia is very strict on their snake laws. My hubby had to get rid of his beloved snake when he lived in Georgia. It is illegal, but people keep them anyway. My son had to dispose of all his corn snakes when he moved to Georgia. I can understand a state wanting to prohibit people from taking native snakes from the wild, but can't understand why a person can't keep a legally purchased snake. I know what I'd do, considering all the illegal activities conducted by those in power in the intelligence services. Unless you try to sell snakes in Georgia, who would even know that you have them? In reference to kingsnakes in Georgia, be careful of definitions when it comes to "species". The law might not recognize subspecies, making a California king snake just as illegal to possess as an eastern chain king. Move! Leave that speciesism/ speciesist state!